For cases of adult edentuous jaw issues, your dentist will review any x-rays or CT scans that were taken, and evaluate your bone density as well as how much bone is available. This will guide your dentist toward the proper treatment. 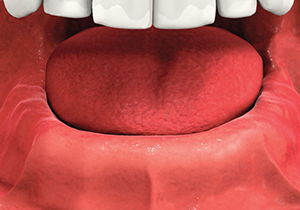 This procedure is recommended for patients with a denture that is loose. 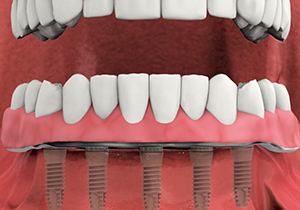 By placing two or four dental implants in the jaw, it gives denture more retention. 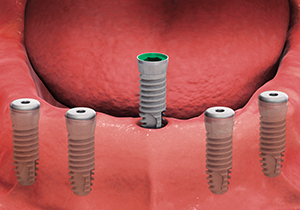 This allows the denture to still be removable, but enjoy more retention due to the dental implant anchoring system attached to the denture base. A second option is Hybrid Prosthesis. 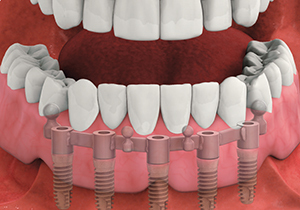 This procedure requires 6 to 8 dental implants in the jaw. A fixed temporary appliance can also be given to the patient, often times in one day. 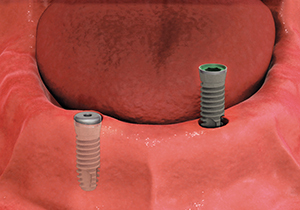 After allowing the mouth to heal for about 6 to 8 months, a final fixed prosthesis will be given. 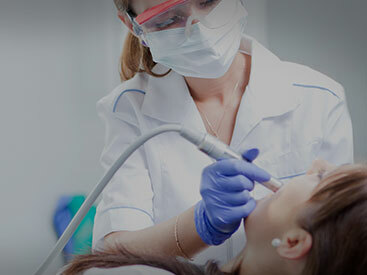 Your dentist will determine if you are a candidate for this or any other procedure. For more information on Edentulous Jaw in the Orlando, FL area call Dr. Ali Behzadi at (407) 502-0202 today!